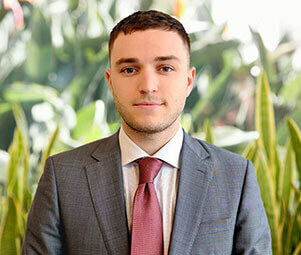 Omri Constantin is a commercial investment professional for Matthews™ Multifamily Advisors. His market knowledge and thorough pricing strategy enables Omri and his team to help clients achieve their investment goals with the disposition and acquisition of Multifamily properties nationwide. His success can be attributed to his unique understanding of pricing strategies, underwriting, and the national multifamily market as a whole. By coupling his relentless work ethic and access to the industry’s largest database of active investors, Omri has personally guided many of his clients toward successful investments. Before joining Matthews, Omri was the Director of Operations for the Trojan Entrepreneurship Network at the University of Southern California. In this role, he led a team of board members that set up a variety of events and allowed students across all majors and established entrepreneurs to network and build strong relationships.